Football tragics Riccardo Ball and Miles Davis team up throughout the World Cup to discuss all the goals, upsets and other shenanigans. If you can't catch them live Wednesdays and Sundays at 7pm (NZT) on the TAB Facebook page, catch up with this handy podcast. A weekly fix for rugby fans and punters alike. Alex Coogan-Reeves is joined by legendary rugby caller Grant Nisbett and Patrick Jones to break down all the action from the Super Rugby season. They preview all the big games, giving their best bets and value picks each week. The TAB's Mark Stafford sits down with some of New Zealand's most prolific and successful sports personalities to find out what makes them tick. A weekly look at the NRL, with a big focus on betting. Host Alex Coogan-Reeves is joined by rugby league junkie Nick Tedeschi and a rotating cast of guests to breakdown the news and all the important angles in every round of the season. A weekly look at the best bets in the golfing world, looking at all the big tournaments. Complete with stats and course profiles. Hosted by Alex Coogan-Reeves and featuring Nick Tedeschi and Paul Maoate. A weekly podcast hosted by Jess Smith covering the latest harness racing news from New Zealand and around the world. Featuring industry interviews, profiles and punters information. Each episode includes a weekly Bookmaker Update with Richard Wilson and the latest Club News from around the country. Produced by the Harness Racing New ... See More Zealand Marketing team. 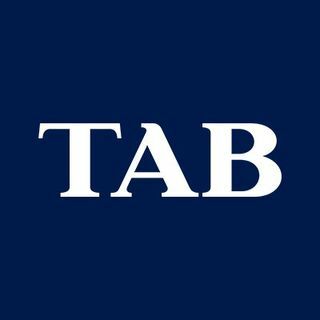 Bookies Thad Taylor and Stephen Hunt are joined by top local and international analysts to try and give punters a leg up and a lead into the biggest races of the weekend. White Out is a Northern Harness focused podcast hosted by Aaron White. The podcast features northern race reviews and previews and the inside word from industry participants. Plus tips from special guest selectors.